TODAY, the Neighborhood House maintains the same mission it had in the early 20th Century which is to offer "Recreational Opportunities and a Welcoming Fireside" (as noted in a letter to the community dated March 15, 1930). Listed below are some of the programs that enhance personal growth and health and foster a sense of community. This class is conducted while sitting in a chair and is designed for people who have physical limitations. The students will work on stretching and strengthening the muscles and joints in a gentle way, breathing exercises and meditation. 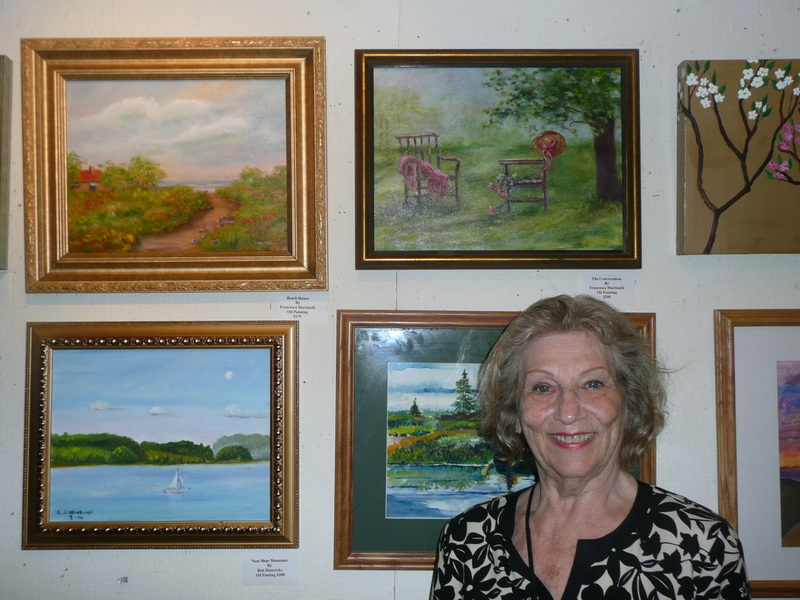 The class is approximately 60 minutes Wednesday and Friday at 11:15 a.m.
Fina Randazzo proudly displaying some of her artwork. Join our Art Class and have fun while being creative. 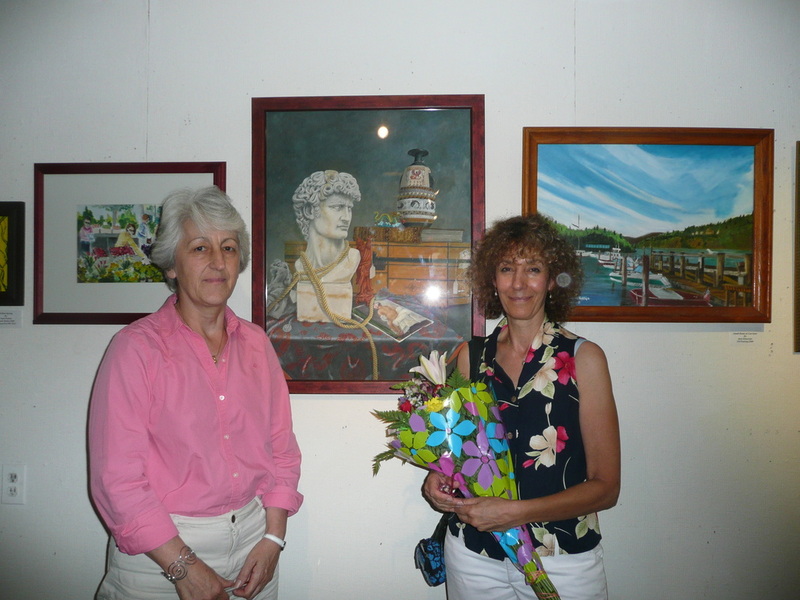 Receive individualized art instruction and exhibit your artwork during summer months at the Warner Library, Fitzgerald Gallery. 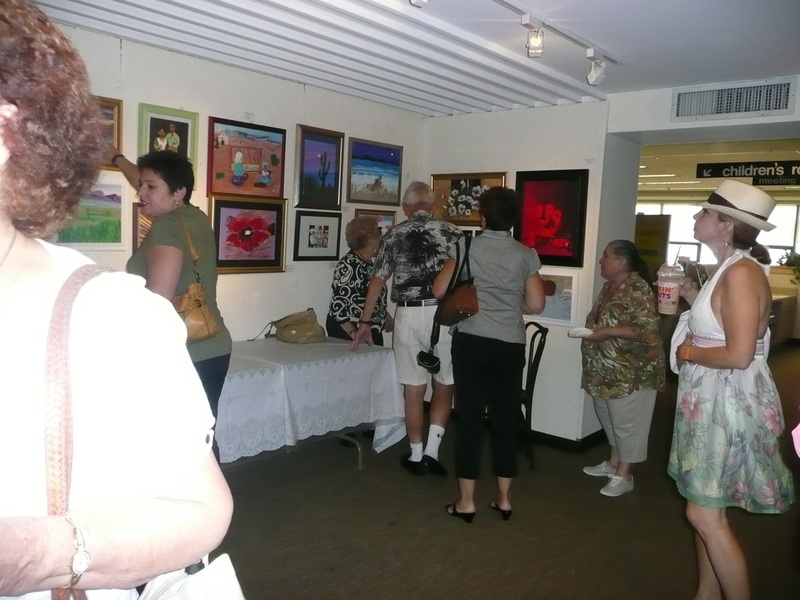 Wednesday afternoons from 1:00 - 3:00 p.m.
A social group that has been meeting weekly for over 50 years. Friends enjoy Bingo, refreshments, and occasional speakers. 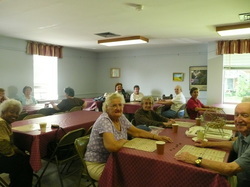 Thursdays, 1:00 - 3:00 p.m.
Our friends enjoying an afternoon of Bingo during the Senior Canteen. 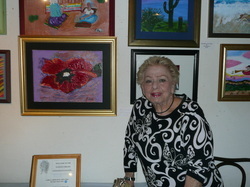 Friends enjoying the artwork of Neighborhood House seniors in the Fitzgerald Gallery. Neighborhood House maintains a limited supply of donated wheelchairs, walkers, bath stools and other aids to keep neighborhood residents independent and ambulatory. Those items are loaned, free of charge, to members of the community upon request. Because of limited storage space surplus items are donated, wherever possible, to other worthy causes. This has included various programs that work to improve life in needy countries such as the Ukraine and Central America. We welcome donations of usable items. Each winter holiday season local schools and organizations such as the Girl Scouts as well as individual donors, drop off donations of non-perishable food. Neighborhood staff and volunteers, including students from the local EF language schools, assemble and distribute 10 - 15 holiday baskets to needy seniors and families in the community. We also offer seasonal flu shots to community members 65 and over. The Neighborhood House receives no payment for this event but provides it as a service to the community. A Westchester County Health Department Nurse at work during Neighborhood House's annual flu immunization campaign.